For nearly 40 years, a local entrepreneur, Thomas Retcho, has provided the Hudson Valley with quality service and sound business practices. 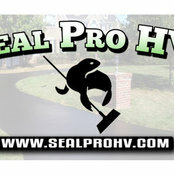 The launch of his newest business venture, Seal Pro Hudson Valley, promises the highest quality of home/business improvement. Your car should glide across the blacktop. Your kids shouldn't fly off their bikes after getting jammed in a crack. Don't let the elements ruin your ride. Trust us to take care of total driveway maintenance; from hot tar crack filling, seal coating, to pot hole repair. Best quality. Better service. Seal Pro HV. Typical Job Costs:Cost ranges from .10-.25 cents per sq. ft. Cost is determined by square footage and condition of the driveway. Free estimates are provided upon request.